I recently found frozen acerola at Central Market. In Brazil I looooved eating these fruits, and they are so good for you! I came up with a delicous smoothie using acerola! If you don’t have it, don’t worry. The apple in this works fine too! Blend the carrot leaves with the water and ice first, as they are the hardest to mix. Throw in the kale and the rest of the ingredients, and blend until smooth. 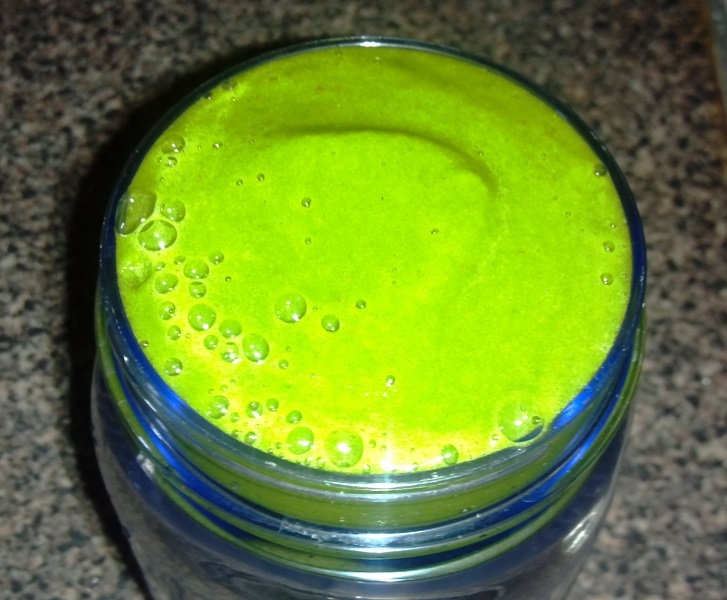 As usual, you can add wheatgrass, spirulina or any of the amazing health additions you want. If you want the smoothie to be sweeter, add a couple pitted dates. Blend blend away, and enjoy!